The Foundation welcomes partnerships with groups and individuals who are interested in helping the children and families of RENMEN expand their possibilities and fulfill their potential. One of RENMEN’s partners is Northern Arizona Volunteer Medical Corps (NAVMC), a team of medical and humanitarian volunteers. NAVMC has sent medical teams that have provided medical assistance, as well as construction teams and cash donations towards rebuilding the orphanage after the earthquake. Project Medishare is an organization dedicated to sharing its human and technical resources with its Haitian partners in the quest to achieve quality healthcare and development services for all. Medical personnel from Project Medishare have provided vital healthcare services to RENMEN’s children and families. A few of the children living at the orphanage are former restaveks. Restavek is a form of modern-day slavery that persists in Haiti, affecting one in every 15 children. Typically born into poor rural families, restavek children are often given to relatives or strangers. In their new homes, they become domestic slaves, performing menial tasks for no pay and seldom attend school. Experts estimate that 300,000 Haitian children are living as restaveks. 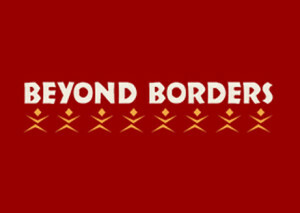 Beyond Borders works towards the eradication of child slavery in Haiti.